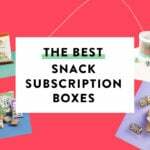 Beauty Box 5 June 2017 Spoiler #2 + Coupon! I got this box for over a year and loved it every month. I just quit this month because I missed out when it was offered on discount and felt I was paying too much. When I emailed to cancel they responded within 24hrs that my acct. would not be charged, then followed up with another email thanking me for my past loyalty to BB5. For me- their CS dept has always been great. On occasion a box will ship late, but usually it arrives before my Sephora and always before my Ipsy! hmmm interesting! I get my Ipsy and Sephora boxes on the same day… Boxycharm a week later. Its odd that I havent heard anything. me too! I get my Ipsy and Sephora on the same day and my Boxycharm a week later. I usually don’t get my BB5 til the end of the month. Awesome! Do you generally get delivery toward the end of the month too? I do! They haven’t even charged my card yet. I could use a new mascara – excited to try this! Has anyone else had trouble getting information on their shipment? I signed up on June 1st, read through the FAQ, emailed customer service… nothing. No reply,, no shipping info… I want to love this box… but I am disappointed by the lack of response from their team. Same with me. It shows it processing but that’s it. I have emailed them to get an update but no response. I am excited for this box but I’m a little worried at this point. Exactly! I’m both relieved and a bit more concerned now that I know it isn’t just me… Here’s hoping we get replies soon! They always seem ship towards the end of the month. Ahhh… Good to know! Maybe they are just behind in their customer service. I’m much more concerned with getting the products, nut with a brand new subscription, uou just don’t know what to expect! It always comes at the end of the month for me. I never had to deal with their customer service so I can’t comment on that. This is by far my favorite inexpensive beauty box! All full size items, not like the other boxes that are $10-$15 a month that give out teeny samples. You will LOVE this box. Can’t wait to try the mascara. That is one brand I have not tried before. That’s why I love bb5! They always send new & different brands & items that I never get from the other 7 boxes I sub too. BB5 & Look Fantastic are my favorite beauty sub’s and Satva is my fav natural beauty sub! I don’t plan on ever canceling them!